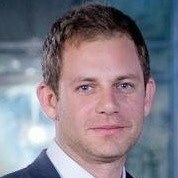 Daniel Carlebach has a MBA from Columbia Business School and a BA in Film and Management from Tel-Aviv University. Currently Daniel is a Senior Consultant at IBM’s Corporate Strategy Group and has gained extensive experience in the Tech sector after working for high growth Startups, tech investors and large incumbent firms. Prior to obtaining his MBA Daniel was Head of Monetization for mobile startup Rumble where he was responsible for the monetization of over 200 mobile news apps. Before joining Rumble Daniel was a Business Development team leader at an AdTech startup where he headed a cross country team based out of Tel-Aviv and Taipei. Prior his positions in tech Daniel worked on the production of several TV shows. Daniel is married, a father and currently lives in NYC.